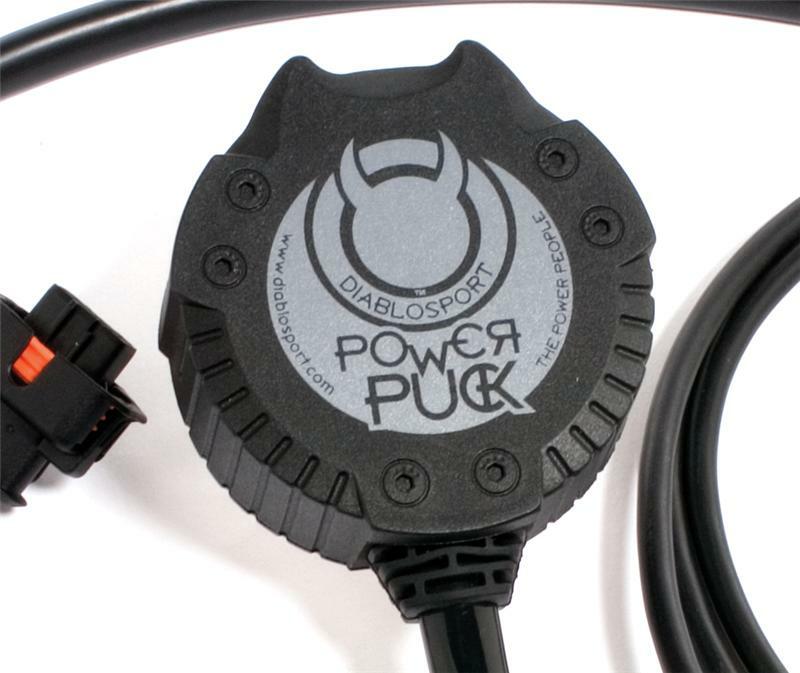 DiabloSport PowerPuck DODGE - Dezod Motorsports Inc - Home of the automotive performance enthusiast since 2002. The DiabloSport PowerPuck remaps the fuel delivery of the diesel injection pump and advances the injection-timing curve. The PowerPuck software works on changing the injection quantities an advancing the ignition curve, it will not alter the load pressure directly. The load pressure is increased due to the increase in fuel volume delivery. This in itself makes for an extremely reliable tuning device with one sole purpose, POWER! PowerPuck equipped vehicles will notice significant improvements in drivability, whether it is in town, where speeds constantly change, or on the highway passing slower vehicles. Power Puck increase’s power through the entire RPM range, at low RPM it will yield better throttle response; and help maintain speeds on inclines or when towing. The mid-to-upper power increase is extremely useful on the highway to maneuver through heavy traffic situations. Stackable with Predator for a variety of performance levels.